Stopped in to Tommy Bahama at Market Square in the Woodlands. Heading to a C&W concert. I’m not a wine snob. Despite living in Texas, I’m not a barbecue snob. Barbecue and C&W, right?? 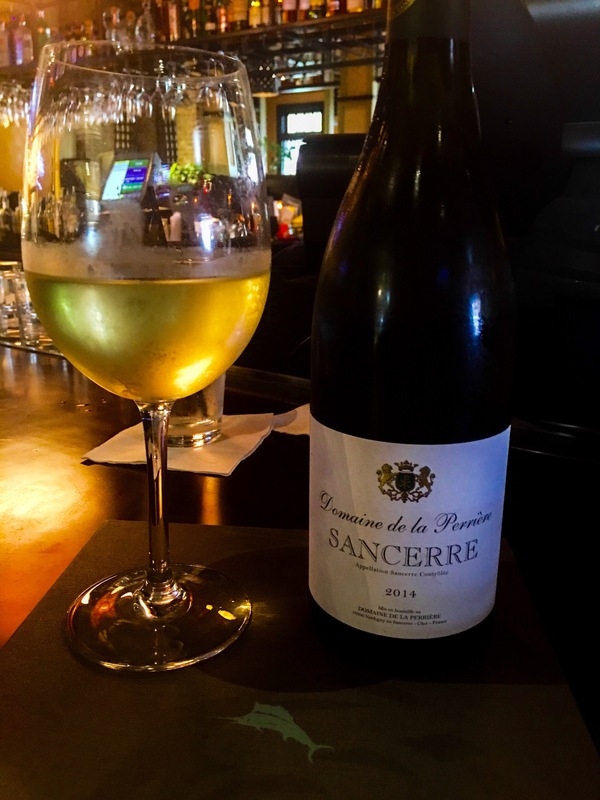 So pre-concert, I sit with my husband drinking Domaine de la Perrierre Sancerre and eating crab cakes! Wonderful. Smooth and silky ripe green apple and pineapple with a crisp acidity that makes your mouth water forever with its long, long finish. This balanced beauty was $53 on the wine list and $14 by the glass. I would choose it again tomorrow…or later tonight.